Martial arts is an ancient practice that has helped people enhance their self-defense skills, physical prowess, and mental awareness. They each have their own uses and unique origins, but one overarching similarity is that many of them originated as a form of training for law enforcement and military personnel (aka ‘warrior’ classes). Although originally the practice served the human need to fight and defend, these arts soon began to evolve and take shape along with the weapons being used at that time. Traditional hand-to-hand, knife, and spear techniques from classic martial arts practices continue to be developed for today’s military professionals. 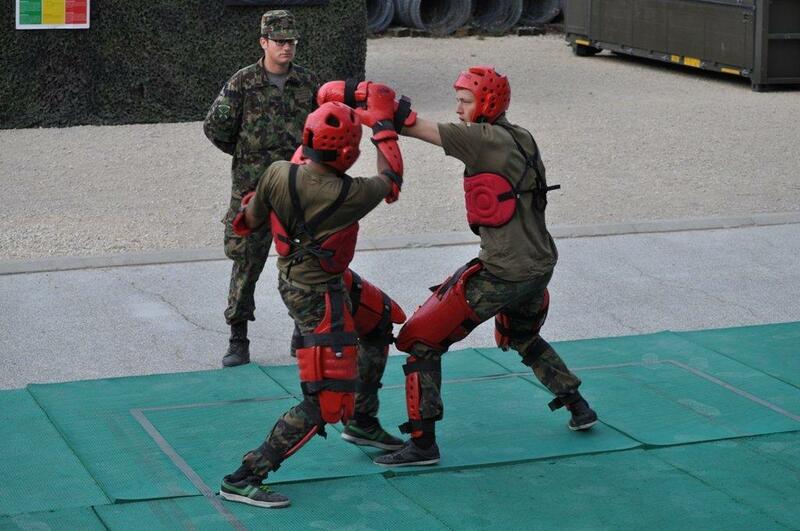 Examples of this include the US Army’s Combatives system, which teaches combat techniques for fighting with and without weapons, the Israeli army’s KAPAP and Krav Maga, which is a combination of boxing, wrestling, aikido, judo and karate, and the US Marine Corps’s Marine Corps Martial Arts Program (MCMAP). In regards to law enforcement, the martial arts systems that are taught often focus on hand to hand combat training. For example, the Tokyo Metropolitan Riot Police and Secret Police are trained in aikido, whereas companies such as RedMan have teamed up with other professionals in the space, such as Team One, to offer defensive tactics training to police officers. The goals with programs such as these that teach modern martial arts techniques is to make sure that our protectors are fully prepared to face any situation that may arise while on the job. It is by learning these skills that they can protect not only themselves, but also civilians and anyone else in the line of fire. To learn more about RedMan’s different certifications, please visit this page. © 2019 RedMan Training Gear is a Division of Macho Products Inc.